The Steering & Rules Committee took up several important city 2R charter school reforms on Thursday afternoon. 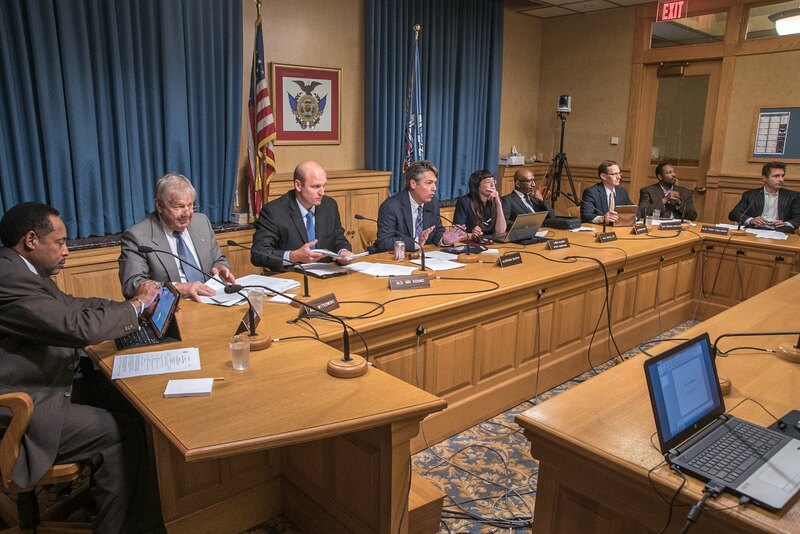 We attended Thursday’s Common Council Steering & Rules Committee, where several motions of interest surrounding Milwaukee Public Schools were discussed. Alderman Tony Zielinski brought forth a motion to the Milwaukee Common Council’s Steering & Rules Committee that would have put a 5-year moratorium on expansion of new city charter schools. These third party charter operators have a poor track record and like all other schools that are not publicly run, they have no restrictions on who they educate, allowing them to push out students they deem undesirable. They are also not accountable to a public school board, elected by the people of Milwaukee, but rather they are an appointed review board with a dubious record of oversight. Unfortunately, the motion was defeated, with only Alderman Zielinski voting in favor. 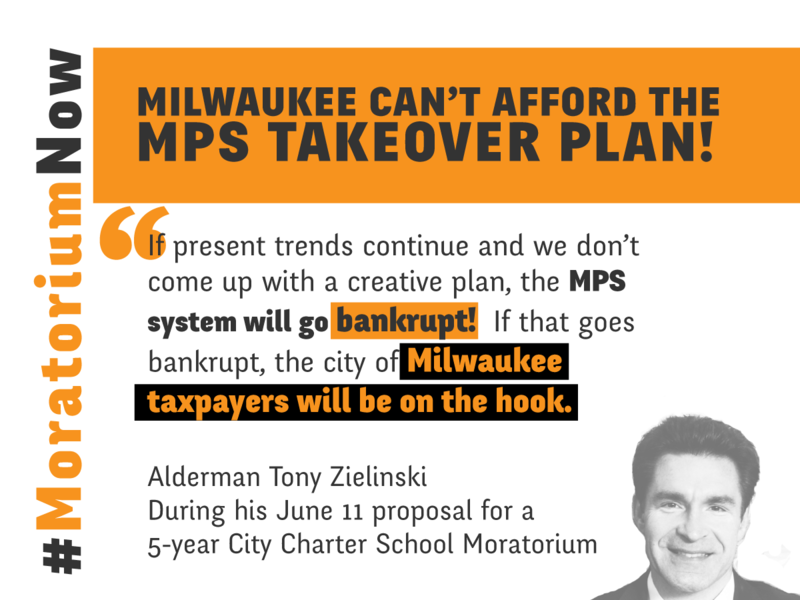 We applaud Alderman Zielinski’s efforts and appreciate that he understands that the proliferation of 2R city charter schools are strangling the life out of MPS and will push the district into bankruptcy. This fight is only beginning. We will continue to battle until all our schools are back in the hands of Milwaukee’s democratically elected school board, not unelected commissions. Watch video of the entire hearing here. Alderman Kovac proposed an ordinance requiring the Charter School Review Committee (CSRC) to provide in their periodic evaluation of each charter school an assessment of how its operation would affect the resources available to the students of MPS. This passed unanimously. Kovac also proposed taking the CSRC’s staff out of the grasp of Howard Fuller’s institute at Marquette and replacing them with the publicly accountable staff of the City Clerk. In addition, President Michael Murphy declared that CSRC meetings would now be televised. These are changes that have long been asked for in making the CSRB’s activities more transparent to the public. This also passed unanimously. Finally, the S&R Committee also took up a request for a new five-year charter for King’s Academy. Several Aldermen expressed concern over a long record of poor performance. The school’s CEO even admitted in testimony to the committee that the school had no working website. Murphy offered a motion renewing the school for two years, which is two years too long, but a clear improvement over a 5-year renewal. Kovac said he’d prefer a one year extension; Zielinski wanted none. The school received a 2-year extension despite these facts and the fact it was already on probation with support from all Aldermen present except Zielinski. 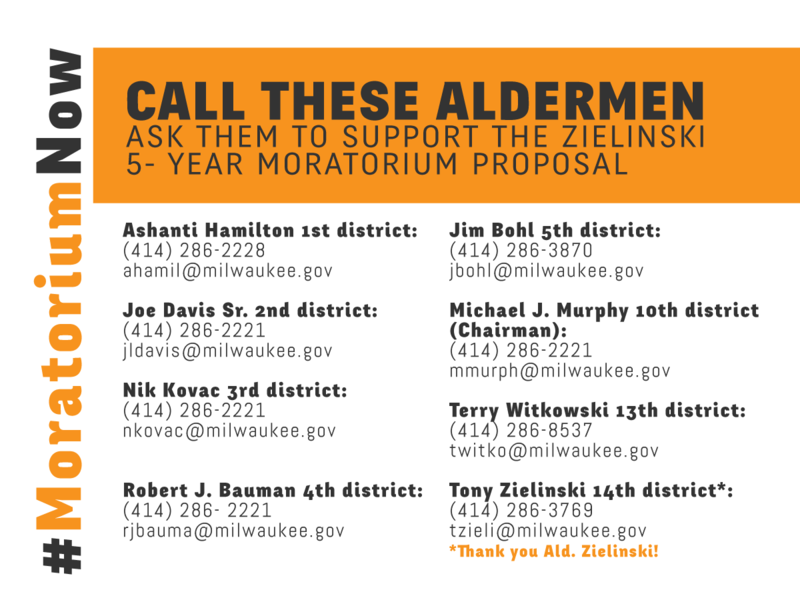 Alderman Zielinski Presents 50-Year Moratorium on Milwaukee City Charter Schools from MTEA Union on Vimeo. We need to keep pressure on the Steering & Rules Committee members until they recognize that these charter schools cannot operate a year longer. When does the Steering and Rules Committee meet again?